We all need a boost every once in a while. But what if you could harness a multitude of positive attributes – energy, mental clarity, focus. Revive Active aims to improve life performance, aiding the work-life balance and enhancing health. 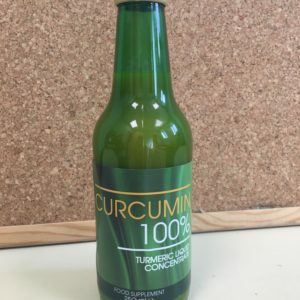 It can be used to help a broad range of complaints, but as an everyday tonic, offering an abundance of key nutrients, it is no wonder it is a previous winner of “Best Health Breakthrough for a Nutritional Product”. We live in a highly polluted world and toxins and waste easily accumulate in the body’s tissues, giving rise to free radical damage. If not dealt with appropriately, this may lead to degenerative tissues and disease. Over-eating, stress, pollution, alcohol, smoking, digestive and bowel problems can all create a poor environment for optimum health. 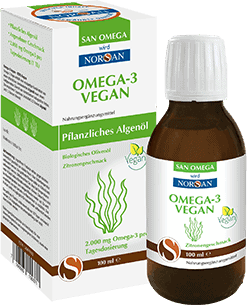 By enriching the body with a plenitude of nourishing nutrients, you are feeding the body’s cells and strengthening responses to better heart health, cognitive function and repair of damaged or stressed cells. Improved vitality – Fatigue, exhaustion, stress, and burnout. How many people regularly complain that current lifestyles are just getting on top of them? 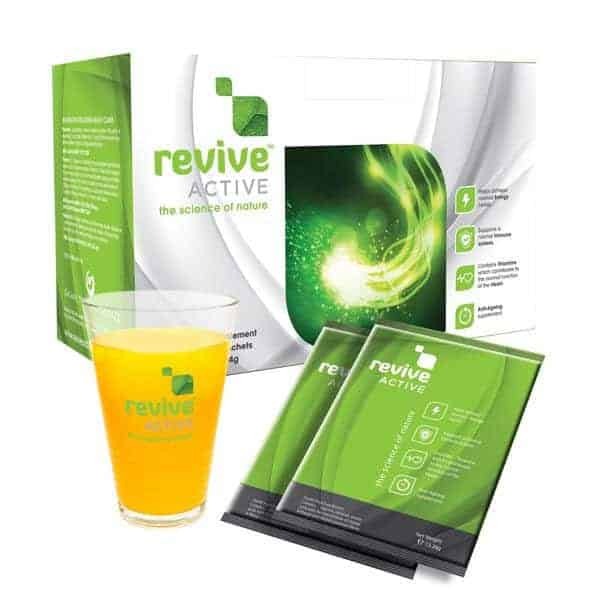 Revive Active is a caffeine & sugar-free source of natural energy, helping invigorate and sustain weary bodies. Cardiovascular Health – Micro and macro nutrients are needed to feed the body. Bodily fluids, such as blood, carry nutrients and oxygen to every cell. Enriching circulatory health enhances overall health and vitality. A healthy heart is a happy heart. Anti-Aging properties – Antioxidants help scavenge for free radicals, considered harmful to cells and tissues if left accumulate in the body. A build-up of toxins eventually takes its toll and effects are usually visible on the skin. What lies deeper than wrinkles though? Oxidative stress can be harmful to the internal workings of the body. Vitamins E, C and selenium are rich sources of antioxidants and can help work towards the prevention of associated old-age diseases. Cognitive function is controlled by the brain and like any other organ requires the necessary nutrition to function at its peak performance. Nourishing the brain helps promote better memory, clarity and coping with stress. 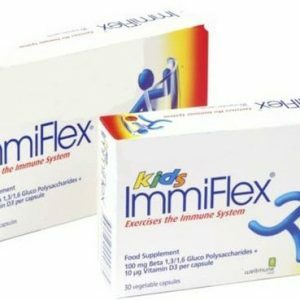 Immunity – A sturdy immune system helps ward off attacking bacteria, viruses and other pathogens. By strengthening natural immunity, you are helping the body respond better, thus protecting the body from infections and diseases. Revive Active has over 26 active ingredients, and while each nutrient is beneficial in its own right, the synergies of some combined components offer potentially more effectiveness. Revive Active even boasts two key Nobel Prize Winning ingredients – Coenzyme Q 10 and L-Arginine. 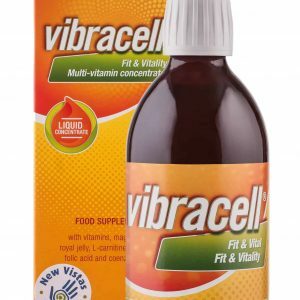 This premium supplement has been carefully formulated by a team of doctors and scientists. It can benefit people wishing to achieve and maintain high levels of mental and physical performance as well as people whose age or illness means the body is struggling to preserve and protect. As the body lowers its defences or suffers cell degeneration, the risk of disease increases. High cholesterol, heart disease, stroke, cancer, Alzheimer’s, cataracts, chronic infection and macular degeneration are common complaints in today’s world. Coenzyme Q 10 is a powerhouse nutrient – a vitamin-like substance – that naturally declines with age. It helps energise and protect the heart, brain and kidneys and nourishes skin, hair and eyes. It is a key nutrient in the metabolism of energy and is required for protein synthesis and muscle contraction. It is also an influential antioxidant. L-Arginine is an amino acid, necessary for building and repairing cells. It can help strengthen immunity – the body’s natural defenses against harmful germs and viruses, regulate hormones and blood sugars and assist with cardio repair and regeneration. A precursor to nitric oxide which helps regulate blood flow, it also helps improve the efficiency of food and nutrient delivery into muscle tissue, which can contribute to improved athletic performance. Pour the contents of one sachet into a glass, with approximately 280mls of water, preferably water that is at room temperature. This helps better dissolvability. Stir well. The contents may be mixed with fruit juice if preferred. Drink one glass each morning, preferably on an empty stomach, to optimise absorption. Food supplements are not considered substitutes for varied & balanced diets. Revive Active is not recommended for under-18s.